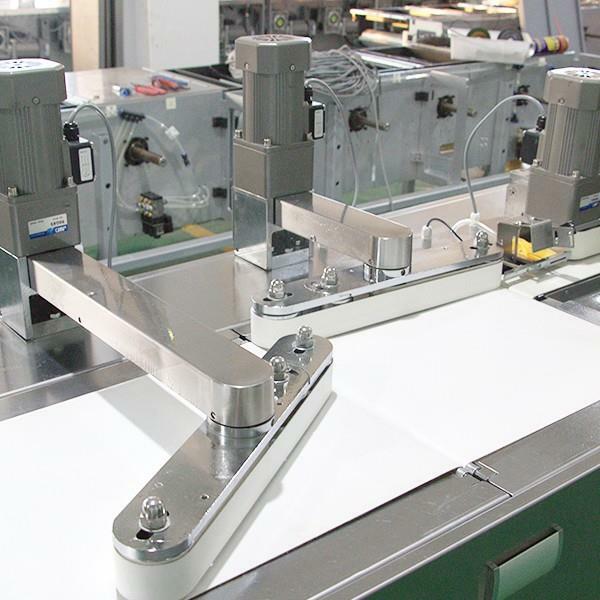 The machine is composed of automatic material and complete the packaging of two parts of the automatic production line, the host uses a full servo drive and touch screen operation control system. Production process is from the supply → finishing → waiting in line → automatically enter the push paw → forming packaging → products. 2, boot before the first connected to the host and the next connection power, close the host power switch, click the touch screen in English key (flag icon), enter the host operation screen, click on the packaging parameters show fixed length or standard mode, this mode is Refers to the current working status of the machine, click the return button, the lower right corner shows the material to stop. Reasoning is the start of the host, the host work to run, the material line does not participate in the work; material start is the machine all in standby mode, press the start button, the connection first run, when the material line up until the first two When the signal is detected, the master will automatically start the package. In normal operation, when the back of the feed is too fast, the material line is the third, the fourth signal all detected, the back line will automatically blow out the waste.